The fashion world lost a legend on Saturday evening. 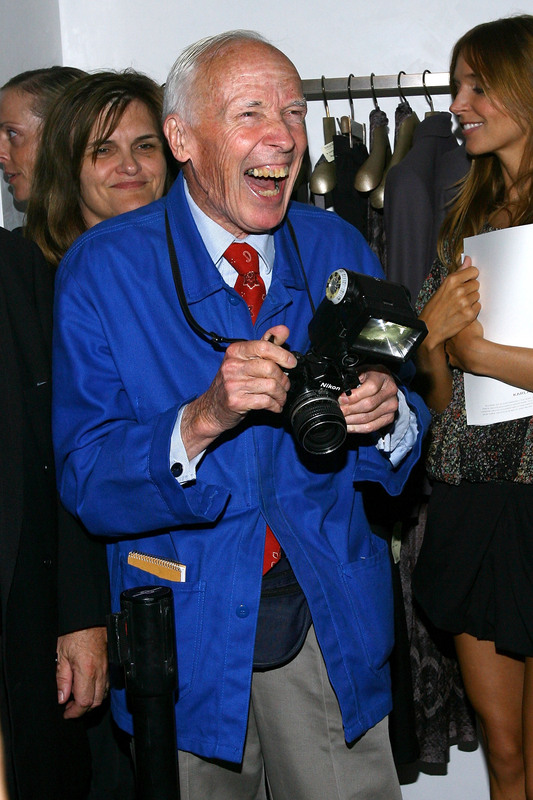 New York Times' street style photographer Bill Cunningham passed away at age 87 after being hospitalized following a stroke. He leaves behind a massive portfolio of iconic outfit photos, but what he had to say about the fashion world was just as incredible. He was a cheerful, down-to-earth presence in an industry that tends to take itself excruciatingly seriously. Being photographed by Cunningham was an honor no matter who you were. As Vogue Editor-In-Chief Anna Wintour said in the 2011 documentary Bill Cunningham New York, "We all dress for Bill." Cunningham didn't care about your level of celebrity or how much money you were making; he photographed people (all people) who inspired him with their ability to put together a unique, chic outfit. Here, we have some of his most poignant quotes. Let's keep dressing for Bill. Arguably his most famous quote, this was part of his acceptance speech after winning France’s L’Ordre National des Arts et des Lettres in 2008. It sums up Cunningham's specific talent, and why everyone was so infatuated with him. Cunningham was infamous for riding a bike wherever he went, refusing to accept the chauffeured cars and other financial perks that seem to come standard with modern fashion journalism. Cunningham was a rare figure of humility among fashion's elite, as expressed through this quote from a WWD with Fern Mallis in 2014. "The wider world perceives fashion as frivolity that should be done away with. The point is that fashion is the armor to survive the reality of everyday life. I don’t think you can do away with it. It would be like doing away with civilization." In one of the most powerful quotes from his documentary, Cunningham reminds us of the importance fashion can have for everyone. Cunningham started his career as a hatmaker for some of NYC's elite. Even legends have to start somewhere. You don't need a runway to make a statement in the fashion world. Bill Cunningham reminded us of the importance of doing what you love as often as possible.